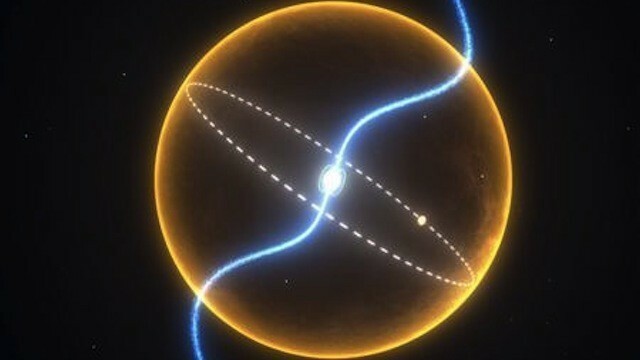 There’s new research being touted in the press about a possible solution to the dark energy mystery. The results, published in the peer-reviewed journal PLOS ONE argues that a radical modification of relativity can account for dark energy. The work is so abysmally awful that it makes you wonder just how such a paper got accepted for publication. The central claim of the paper is that our understanding special relativity is wrong. Instead of all motion being relative, which causes time dilation between objects and means that there is no absolute cosmic time frame, the author argues that all motion is measured relative to some absolute time frame. This means that motion can be measured relative to this absolute frame, and things like time dilation only occurs relative to that absolute cosmic frame. Those familiar with relativity might point out that we’ve long known that the speed of light is a universal constant in all frames of reference, and experiments such as the Michelson-Morley experiment showed that there is no absolute reference frame. Even things like GPS satellites show that relativity works, so how does one argue that there’s an absolute reference frame? As the author points out, to agree with observation, you just have to assume that the absolute frame of the universe is centered on the Earth and rotating with it. You heard that right. The author argues that in terms of this cosmic reference frame, the Earth doesn’t move. How to solve the dark energy mystery? The author then goes on to argue that because of this the galaxies moving away from us are time dilated relative to our absolute frame, and since more distant galaxies are moving relative to closer galaxies, they are further time dilated. What looks like an exponential expansion of is therefore simply an effect of absolute time dilation relative to the Earth’s at-rest frame. 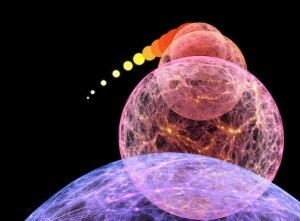 Dark energy is therefore an illusion due to our special place in the universe. Any physicist worth her salt would flag this work as seriously lacking. The author himself should have caught the glaring flaws in this work. But then the author is actually a cellular biologist with no publishing record in physics. Throwing all relativity out the window in order to create a “just-so” model of cosmology is what he does in his spare time. The editor of the journal should have flagged the work as well, but then his background is also biology. It’s not clear if any qualified physicist actually reviewed this work. Then again, PLOS ONE is a different kind of journal, because it is open access. With traditional journals, libraries and individuals pay subscriptions for access to their articles. These subscriptions aren’t cheap, so the journals live or die based upon their quality. For this reason, the journals generally decide whether to publish not only on the accuracy of the paper, but on the potential impact the work may have. More prestigious journals can charge higher subscriptions, and are therefore more selective about what they publish. PLOS ONE makes all of their work freely available to the public. To cover costs, they charge a publishing fee. In the case of PLOS ONE, that’s about $1,400 per paper. Because income is generated per paper rather than per subscription, PLOS ONE reviews submissions only for “technical accuracy,” regardless of the quality of the work. Because of this, the quality of articles varies widely. Some are quite good, while others (like this one) not so much. Open source journals have been controversial. On the one hand they get rid of the obscenely expensive paywall that limits access to research (much of which is publicly funded), but on the other hand they can be seen as “pay to play” paper mills where anyone with enough cash can have the prestige of peer-reviewed work. While there are predatory open source journals that will publish literally anything at a cost, PLOS ONE has been seen as one of the better open source journals. But it seems in physics at least, the bar is discouragingly low. Of course once a paper is peer reviewed, it starts getting touted in the press. The author’s home university had a press release praising the work as a new breakthrough in cosmology, which then got picked up by science news sites and posted almost verbatim, because who has the time or money to actually do science journalism. By the time it’s brought to my attention I can either ignore it and hope it doesn’t get too popular, or try to debunk yet another over-hyped science claim. It would be easy to feel angry about this kind of thing, but mostly I’m disappointed. I’d like to see open access publishing succeed, because I honestly believe research (particularly publicly funded research) should be freely available to everyone. But when PLOS ONE publishes articles of this quality, it’s not helping advance the cause. It’s funny how I’ve come to look for your comments before I even read these way out per reviewed articles. Please keep it up. Between capitalism, nepotism, racism, nationalism, religion, and all the other hindrances, it’s amazing that anything gets done. Maybe that’s why creationist refer to the ‘miracle’ so much. I am beginning to think that given all this obstruction, it’s a miracle that we know as much as we do. How much truth and knowledge is locked away because their discoverers cannot afford to pay to play, whether financially, politically, academically, or otherwise? I had stumbled across this paper and thought it was very strange. However I saw that the author was from the University of Georgia so I figured he had some credibility. What responsibility does an author’s own institution have for upholding scientific standards? Has the physics department from his University responded to his paper? Thanks for your informative post. Perhaps it is my hangover from Christmas day affecting my judgement but surely the major difference between quality / highly respected academic journals and open source publishing is the peer review process. No academic in his / her right frame of mind would allow a paper of this type to be published via their criticism. Poor / negative peer reviews will stop a paper’s publication by a journal dead in it’s tracks, the reviewers being concerned about their academic credibility if they reviewed a paper and didn’t pick up on glaring errors such as you have cited. Consequently I think one has to wonder if the open source publishers need to rethink their method of selecting suitable academics to review submitted papers. One last comment, please don’t be so harsh on biologists – remember, that the scientist who never made a mistake / error never did a day’s work. I’ve heard a similar model proposed by a religious fndamentalist. michelson-morely was cast as evidence _for_ aether; that is the lack of difference in c was taken to mean earth at rest with respect to it. Of course this man also rejected heliocentrism. It does seem that you’d have to embrace geocentrism if you want the earth’s reference frame to special. How would one account for precession of mercury in this model? Thanks for continuing to speak out against this sort of nonsense, Brian! Having reviewed for PLoS ONE before, I know that if a reviewer and the editor actually care about quality of a manuscript, there’s a lot of power to emphasize and enforce that absurd claims without sufficient evidence are not acceptable, so there’s really no excuse. @Bob Sankey: He wasn’t criticizing biologists; he was pointing out that the author doesn’t specialize in physics and yet made outrageous claims about physics, which should have been a red flag for increased scrutiny. I’m not knocking publishing outside one’s background field, since I’ve been an author on several theoretical, numerical, and experimental quantum physics papers, despite my formal education being in computer science, but I would sincerely hope that any of my submissions in fields in which I’m not as well versed would be checked more thoroughly, since the chance of mistakes is much higher. Of course, personally, if I were to embark on something like that, I’d really want to have ample input from people in the field before, during, and after writing, since I’d much rather not waste my time with foolish nonsense. I think you have mischaracterized Kipreos’ paper. He does not insist that Earth is the motionless center of the universe. What he is suggesting is more subtle: time dilation is directional, rather than reciprocal, and gravity determines direction. The Alternative Lorentz Transformation – which he didn’t invent – hasn’t ever been ruled out experimentally, though it isn’t a popularly-held idea. All he has done is to suggest that *if* the ALT is correct, then our consideration of time dilation relative to distant objects will require us to rethink (and recalculate) their distances, and the need for ‘dark energy’ may be obviated. He took a crude stab at recalculating Type 1a supernovae distances assuming ALT is true, and they lined up to give us a constant rate of expansion. There may very well be a flaw in his reasoning. But you haven’t identified it merely by asserting that Kipreos is placing the Earth at the center of the universe. I think it’s fair to add that theory tends to be a bit vague when it comes to time dilation. Frames of reference are a tricky subject; assumptions, some of them not well-tested, drive conclusions. A constant rate of expansion for the universe is, objectively speaking, a nice, neat solution. Acceleration isn’t. Acceleration requires us to invent a cause (dark energy) whose nature is completely unknown to us. Occam’s Razor requires us to ‘like’ simple, neat solutions where we can find them, though of course it does *not* require us to ignore evidence. ALT is testable. Perhaps it’s worth testing, hmm? Actually, Kipreos argues that if the absolute frame of ALT is centered on Earth and co-rotating, then it is indistinguishable from observations of relativity. He then goes on to argue for an Earth centered frame to eliminate dark energy. He is arguing for a geocentric universe, and in support he notes that his geocentric model is indistinguishable from relativity for his particular frame. Within relativity, acceleration is a neat solution, and is neater than a “constant” rate of expansion. Brian, can you briefly address the section “Evidence supporting directional time dilation relative to the ECI” on page 4 of Kipreos’s paper? Isn’t his discussion of Hafele & Keating on comparing clocks merely a repetition of the common misunderstanding of the Twin Paradox — that the relative velocities cause the directional change in time on the jet, when the cause for net differences in time dilation is actually the acceleration of the jet carrying the clock (GR, not SR)? Thank you. ALT is not by itself automatically invalid. If the math of directional time dilation works well at describing the (perceived?) acceleration of Hubble Expansion, is anyone else asking why that’s the case? Coincidence ? Obviously any absolute earth-centric co-rotating frame of reference is wrong enough to be silly. But what about a preferred relative directional frame of reference that in practice is almost identical, let’s call it our °MinkowskiNow. Simultaneity is relative, but time is still directional. We are Absolutely always looking into our past. Could it be possible that detecting universal directional time dilation requires observing at least far enough back in time such that all the observers can’t *ever* reconvene over beers to compare their clocks afterwards? For large enough scales of spacetime maybe MinkowskiNow is “absolute enough” as a frame of reference ?